Having someone there makes a difference. The Quad Cities Community Foundation in the Quad Cities has awarded the Child Abuse Council a $100,000 Transformation Grant to expand the program, which addresses a critical need in the community and when implemented, has the ability to give way to transformation. Through the program, at-risk mothers receive support from a professional doula before, during and after child birth. A doula is a woman trained to assist another woman during childbirth. The CAC doula program is unique because the doula is trained to specifically work with the more vulnerable populations the Child Abuse Council serves. The doula program was started in Rock Island County in 2009 and due to its success, will expand to Scott County later this year. “It’s a game changer,” Thoms said. Home visits for eight weeks post-partum provides support and encouragement, ensures the baby is being taken care of, the mother is not suffering from post-partum depression, and that both the mother and the newborn are attending their doctor visits. Sometimes, the work of the Council is as simple as helping a mother bond with her baby, Mathews said. The program is changing lives, he added, which makes the possibilities that present themselves because of the expansion all the more wonderful for the health and wellbeing of mothers and their newborn babies. Mathews offered an example. One mother in the program had a child several years ago but lost her parental rights after finding herself “in a horrible situation.” She recently got pregnant with her second child and was connected with the Child Abuse Council. She was able to leave a violent relationship and receive support during her pregnancy and birth. Six months later, she is still on the right track. “She was able to keep her newborn, and her child is healthy. She said that it is because of our intervention in her life,” Mathews said. Preventing child abuse not only affects the individual child, but families and entire communities, Mathews added. “If you look at the statistics of child abuse victims later in life, they have higher rates of depression, suicide, abuse of alcohol and drugs and are nine times more likely to commit crimes and end up in jail,” he said. 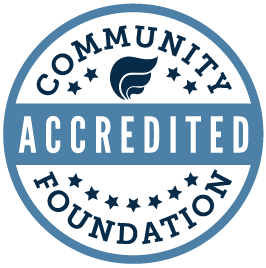 Transformation Grants through the Community Foundation are awarded to initiatives that transform the region and are among the single largest grants awarded each year. Funds come from the Community Impact Fund, which is a permanently endowed fund supported by hundreds of donors who have made unrestricted gifts for a collective impact in our community. A second $100,000 Transformation Grant will be awarded later this fall.